ORTLOS has been invited to the international conference “Shaping the future” in Košice, Slovakia, on the 9th and the 10th September. Andrea Redi and Georg Flachbart will report about creativity, as the energy of success, considering our project “City Lab – iVAN”. Košice will be European Capital of Culture in 2013. 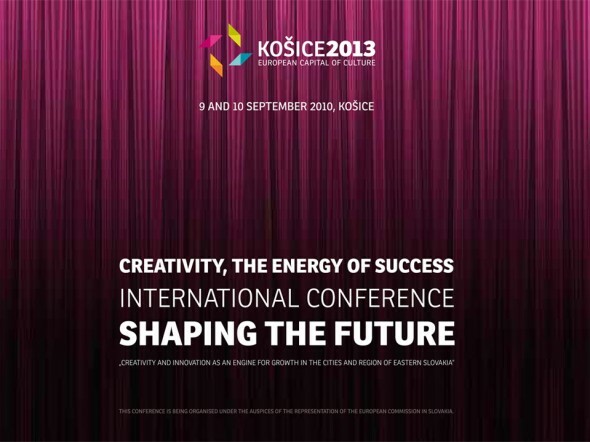 Free online registration for this event at: http://creative.kosice2013.sk/. One of the main issues concerning the development of creative industry in Košice is the creation of space for the development of those new start up creative businesses. Where to place the ‚incubator‘ for start-up companies in the creative sector. The responsibility for establishing the ‚incubator‘ relies on the crucial investments made in the project Košice INTERFACE 2013. The current suggestion is that our creative incubator should be established in the area of Kasárne/Kulturpark (former military barracks) in Košice. /www.kulturpark.sk/.